EVANSVILLE, Ind. 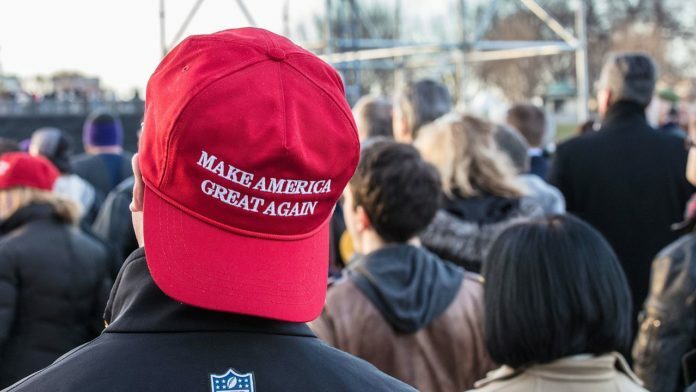 (AP) — A county clerk says Indiana election officers have directed poll workers not to allow anyone into voting stations with clothing sporting the phrase “Make America Great Again,” a slogan popularized by Donald Trump’s 2016 presidential campaign. Vanderburgh County Clerk Carla Hayden tells the Evansville Courier & Press the phrase is associated with Senate candidate Todd Rokita. He dons a hat with the phrase in TV ads. Hayden says poll workers will either ask prospective voters in Tuesday’s primary to remove the slogan, of if it’s on a shirt to turn it inside-out or place a jacket over it. Indiana law prohibits campaigning within 50 feet of a polling place and includes restrictions on who may enter polling places. Voters may not wear clothing advocating the election of any candidate.